Taipei, Taiwan, is a thriving metropolis packed with people. Saying “packed with people” doesn’t make it sound inviting, does it? I forgot to mention it’s packed with some of the friendliest people in the world! Taipei is a beautiful place to explore and one of the tastiest destinations we’ve been to so far. We spent three months living in a suburb of Taipei so we had lots of time to do the known attractions like Taipei 101, Chiang Kai-shek Memorial Hall and night markets, but we also wanted to see the city from another point of view. 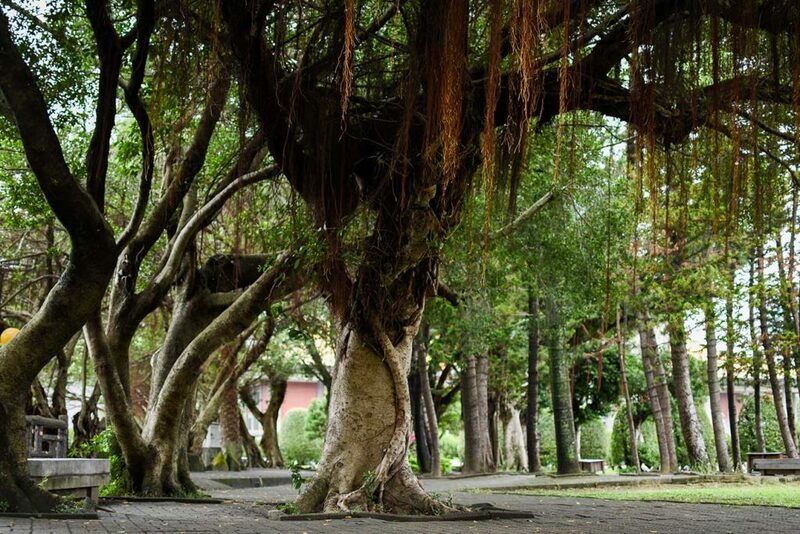 One of our favorite ways to explore Taipei was through its many parks. 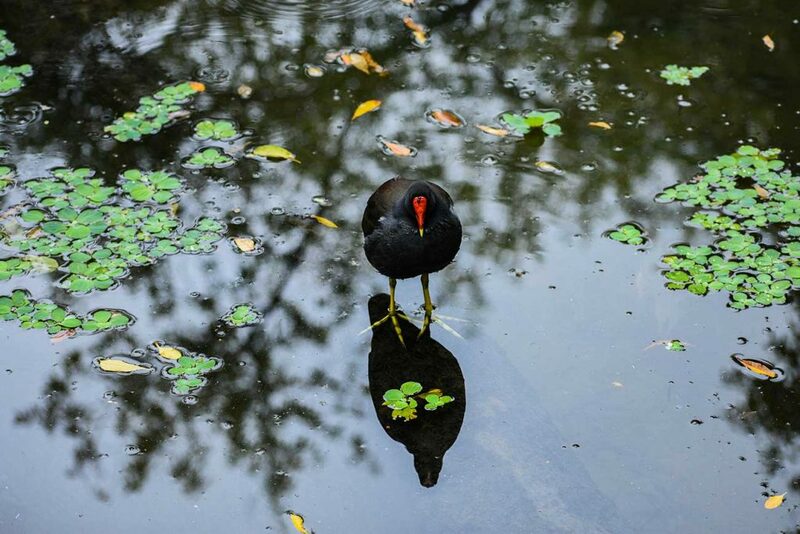 Visiting these parks not only allows you to see the beauty that Taipei has curated in the midst of all the busyness, but you also get a glimpse into the local daily life. 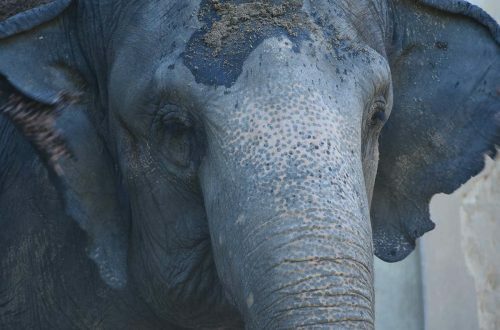 In this post we talk about some of our wonderful adventures to these nature gems in the middle of the big, loud city that is Taipei. 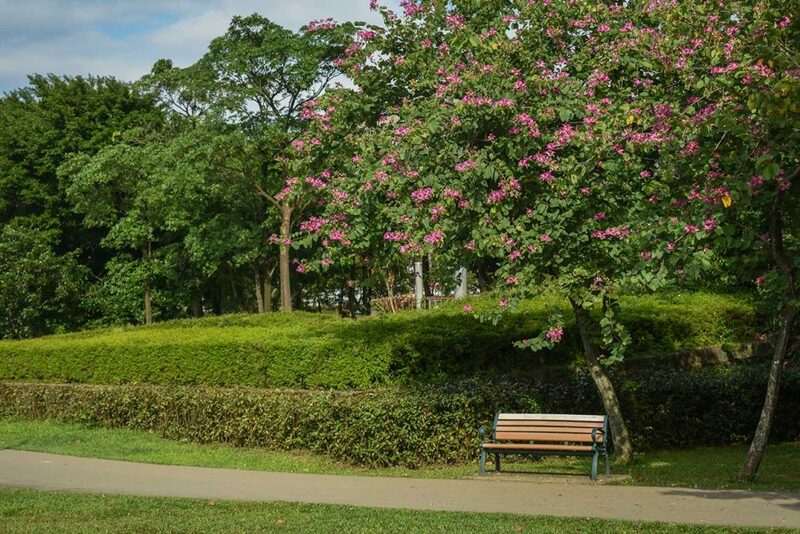 Exploring these parks in Taipei would really make us hungry. Check out our post on the best soy milk restaurants in Taipei for a savory lunch after some exploring! 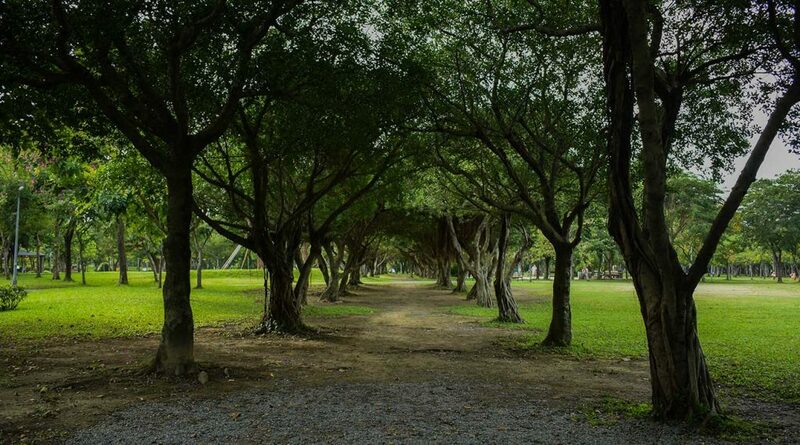 Da’an Forest Park is what really kicked off our love for parks in Taipei. It’s in a happening district, called the Da’an, and centrally located. 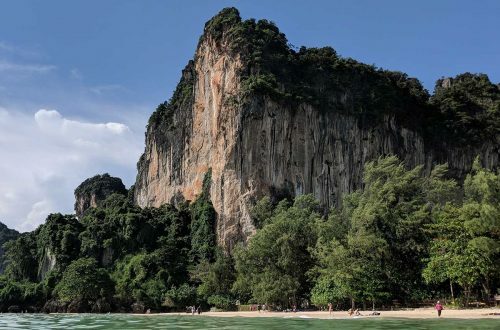 This is not the massive Central Park in NYC by any means, but you can escape all the noise here. We recommend grabbing some milk tea across the street before enjoying the park. 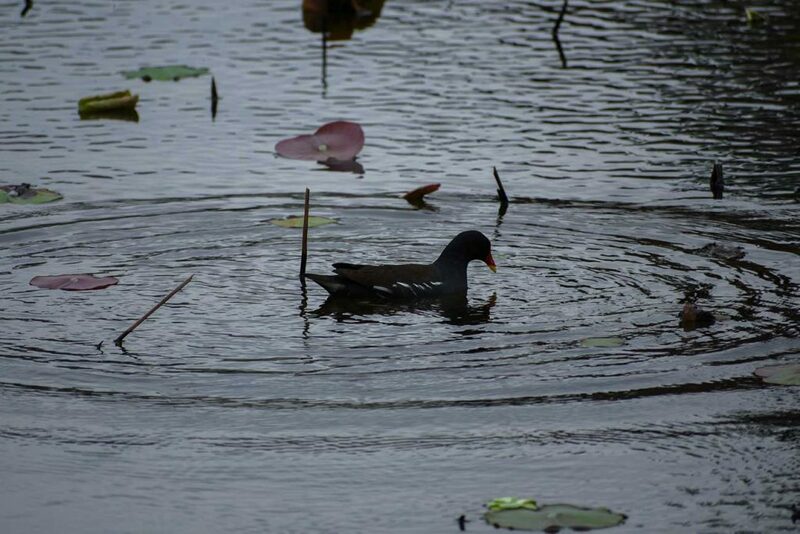 In Da’an Forest Park you’ll find a pond springing with wildlife, a pavilion, and so many walkways to wander. 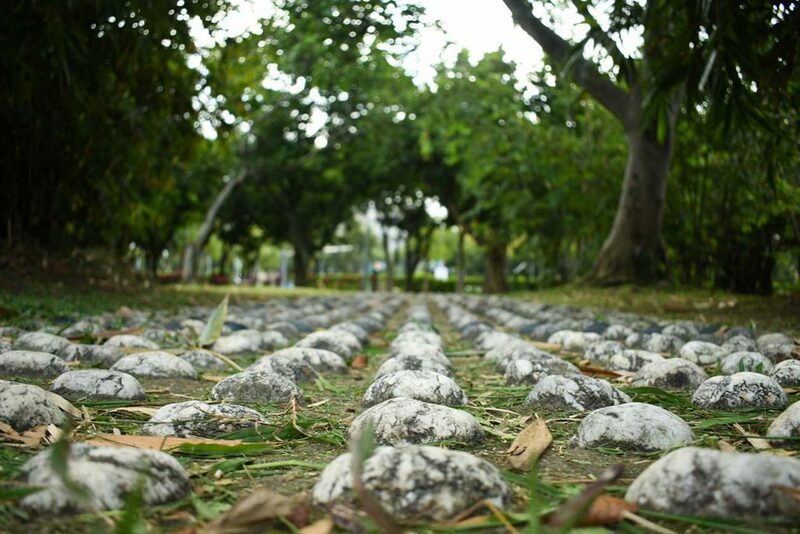 There’s also a rock path for some stress relief! This one was easier than others we’ve tried, but we still couldn’t cross. Give it a try! This park is very easy to find. You take the red line on the MRT (our favorite subway!) to Da’an Park station. You can’t miss the park. Pretty simple! 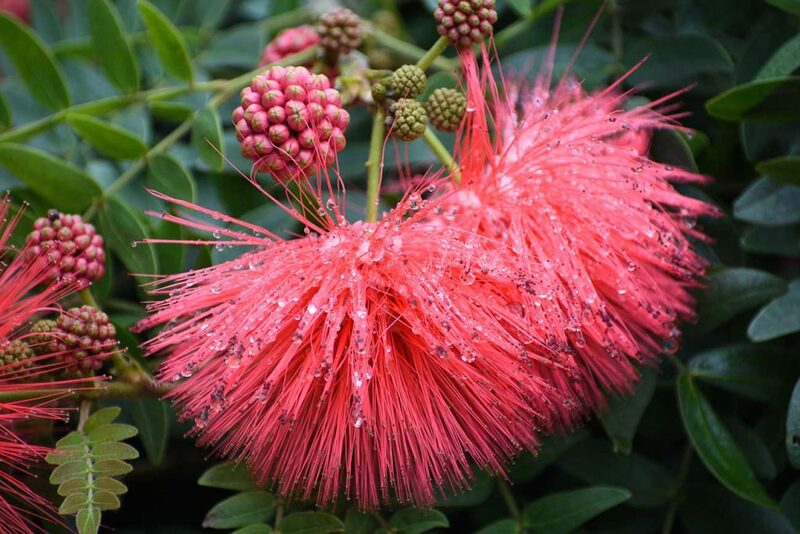 Botanical gardens are exactly what they sound like. 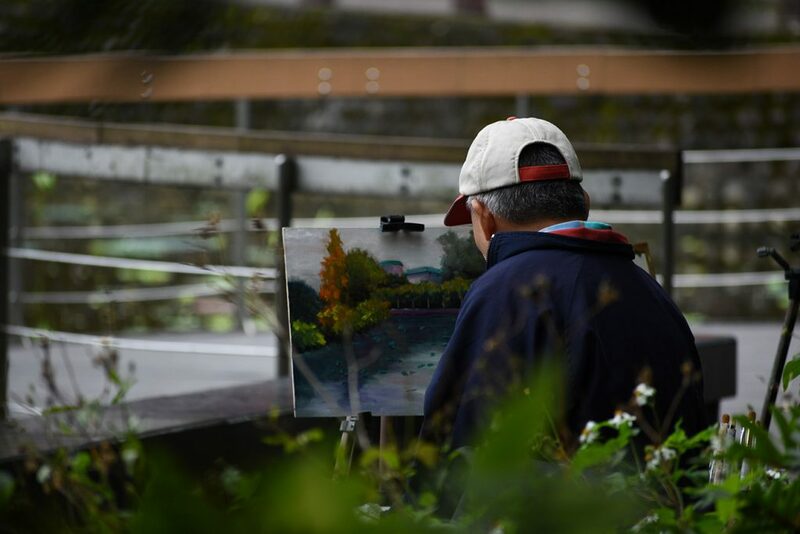 Botany is the study of plants, so a botanical garden is a scientific endeavor but open to the public. 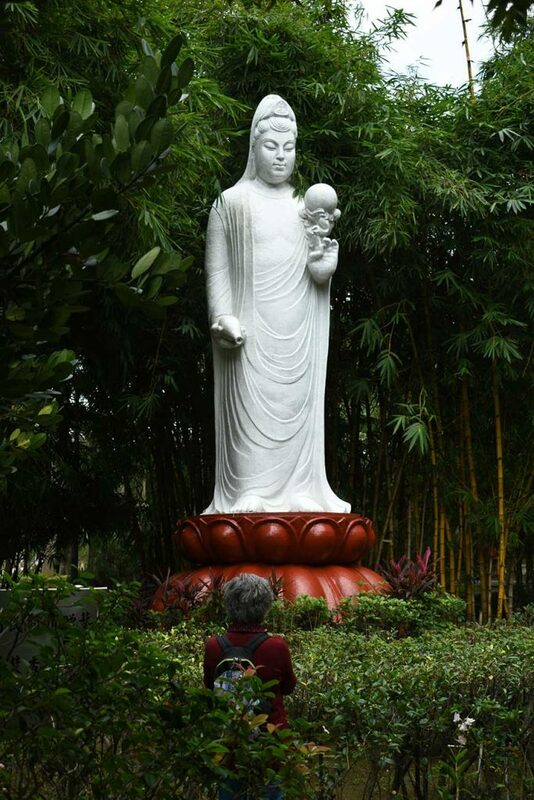 Taipei’s Botanical Garden didn’t disappoint. Just like Da’an Forest Park, it was easy to get lost and very easy to find some peace and quiet, which we loved. 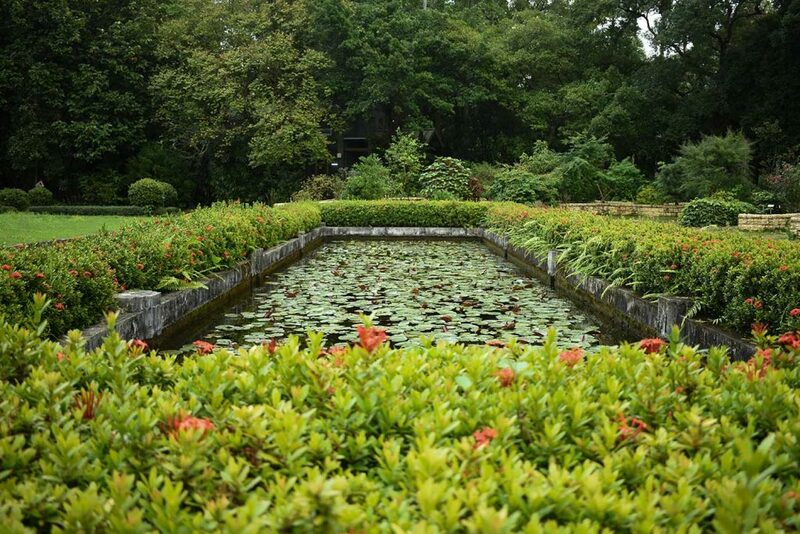 We recommend walking every path you can, but you mustn’t miss the Lotus Pond! 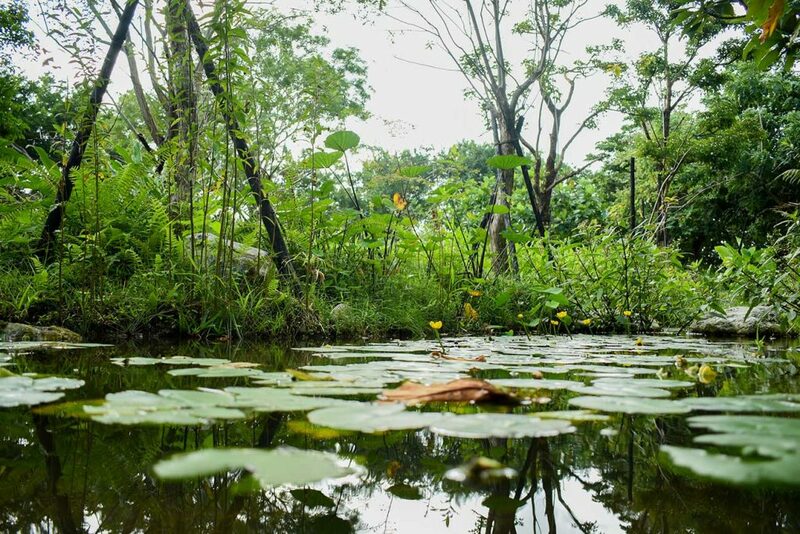 This is a scenic pond in the botanical garden that sits at the back of the National Museum of History. Many locals were here for their lunch break and one man was off to the side, painting the view in front of us. Take the green line on the MRT to Xiaonanmen. From there, you walk straight south on Bo’ai Road to the botanical garden. 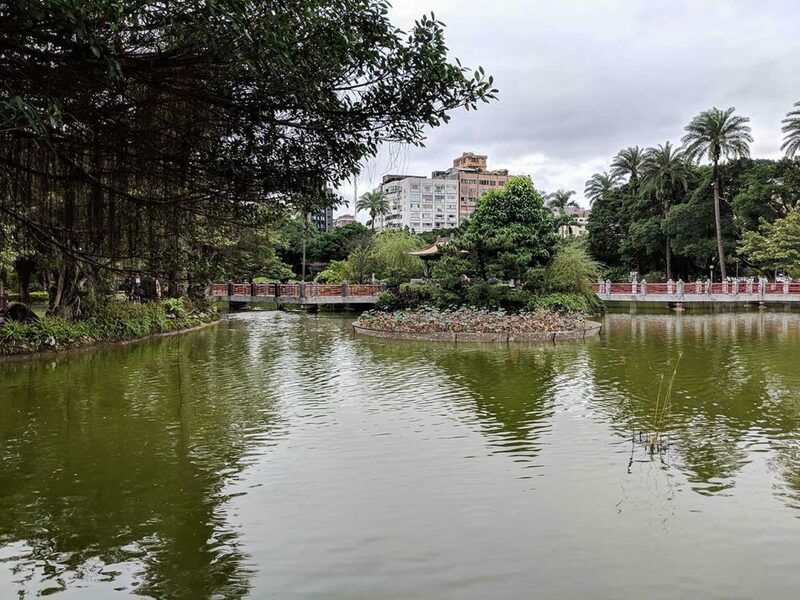 This park is a on the northeast edge of the city but is well worth the visit! It’s still easy to reach by the MRT so it’s really not that hard to get to! 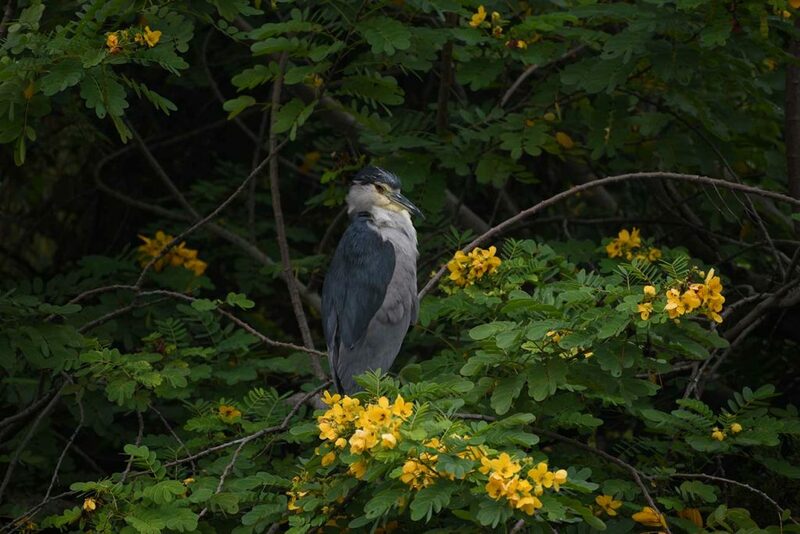 Being on the edge of the city, it offers even more nature. 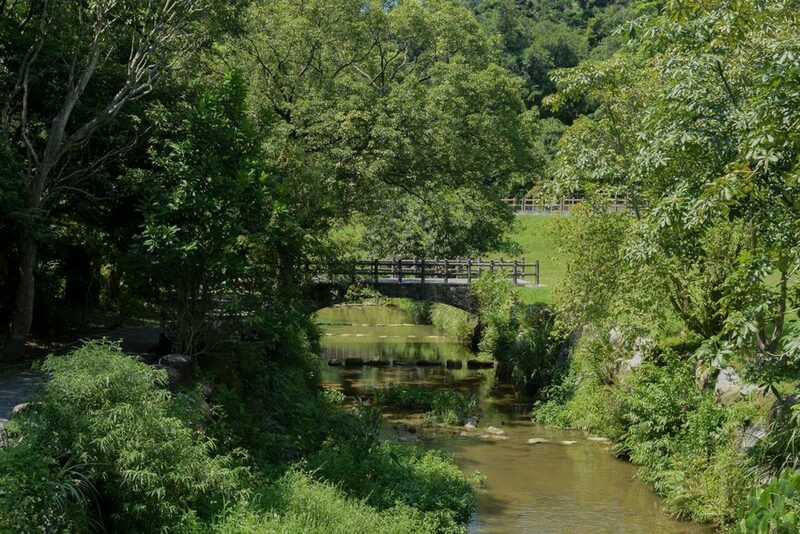 Walk along a path of butterflies, a stream flowing beside you, and then have a picnic. 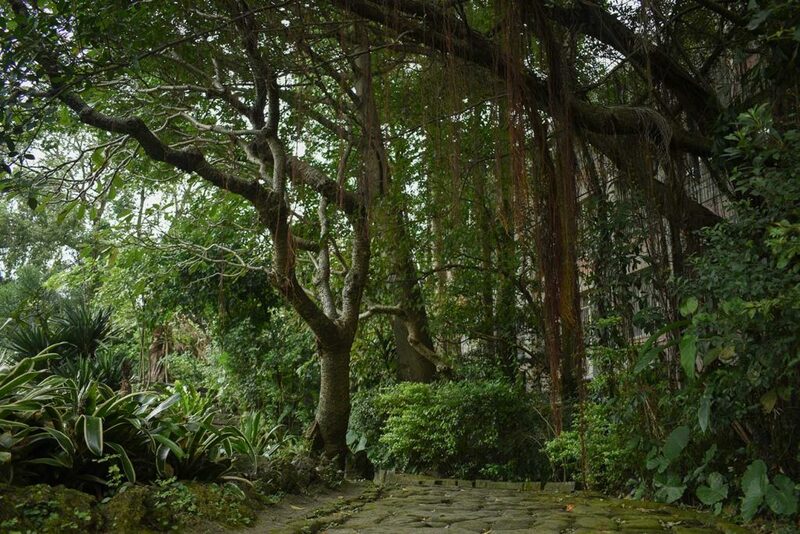 The best part about this park is that it leads to one of our favorite hiking trails in Taiwan. Check out our post on the Neihu Hike if hiking in Taiwan interests you! This day hike will take you to ornate temples and breathtaking views of the city. You will take the brown line to Dahu Park Station. Take exit 1 and follow Dahushanzhuang St. all the way to the park. It’s the main street going north from the exit. We weren’t sure if we were in the right place but a friendly Taiwanese person was there to assure us! The word “park” isn’t in the name of this one but trust us, it’s a park! 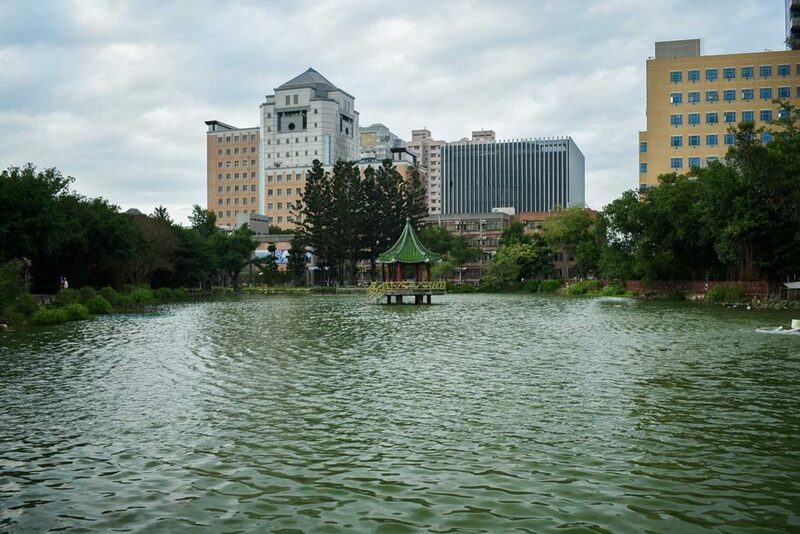 Drunken Moon Lake is located within the National Taiwan University campus. Enjoy a stroll around the beautiful campus of this large university and then kick back at Drunken Moon Lake. It seemed like a kind of romantic spot for students but is perfect for visitors as well! Being next to a campus, there are plenty of options around for eating or, of course, milk tea! However, we have a special mention for one restaurant nearby. Lan Jia Traditional Taiwanese Snack. This place is hoppin’! Apparently he’s been featured on CNN Travel but we didn’t know that before eating there. It’s so delicious and so cheap so we understand why it’s popular now. 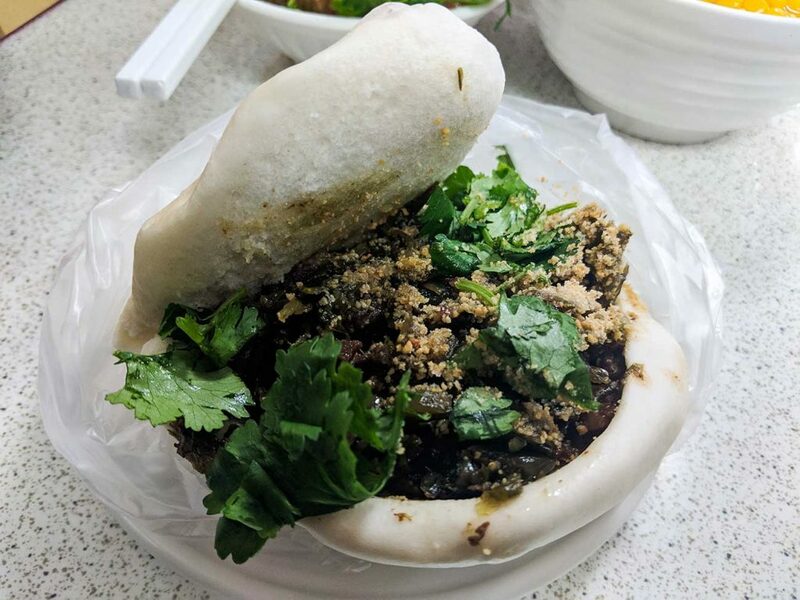 They serve Gua Bao, known as the “Taiwanese Burger”. You won’t be disappointed. The owner is super friendly, speaks English very well, and will ensure you have an awesome time. This time you’ll want the green line of the MRT. Look for the Gongguan station and that’s your stop! You can also just head straight south from Da’an Forest Park and you’ll be there in several minutes. For the Gua Bao, head north from the Gongguan station, exit 4. You’ll turn left on Luosifu Road, around 3 blocks north of the exit 4. 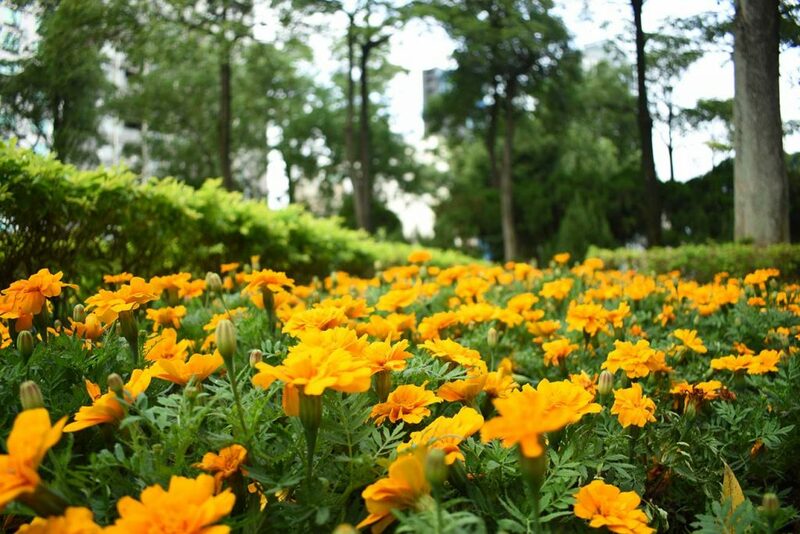 You’ll find this beautiful park just blocks away from Taipei 101, which was the tallest building in the world in 2004. It has since been dethroned but is still an amazing sight to see. It’s even better to look up at with a field of flowers in the foreground. Zhongshan Park is neighbor to Sun Yat-Sen Memorial Hall. The two attractions practically meld together to form one huge park. 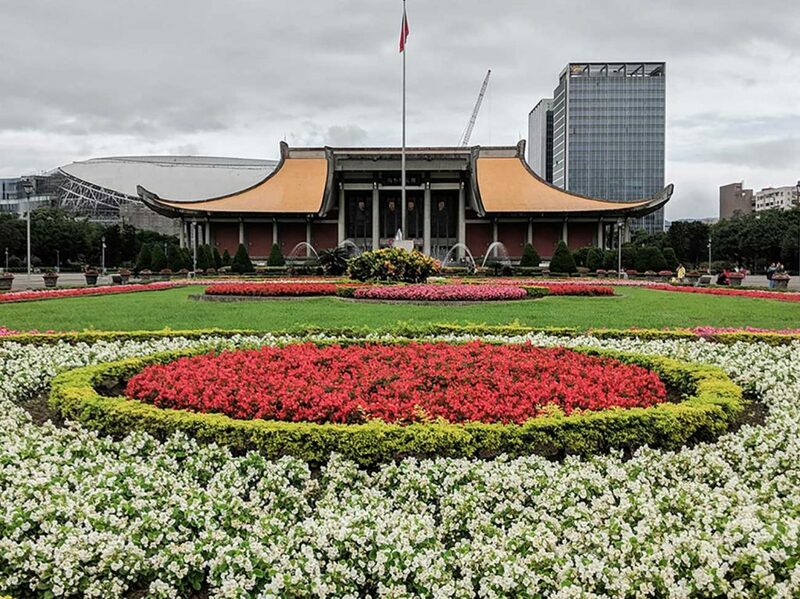 We recommend starting at Sun Yat-Sen Memorial Hall and viewing the fountains and lovely flowers. The grounds by the memorial are huge so we spent quite a while here. 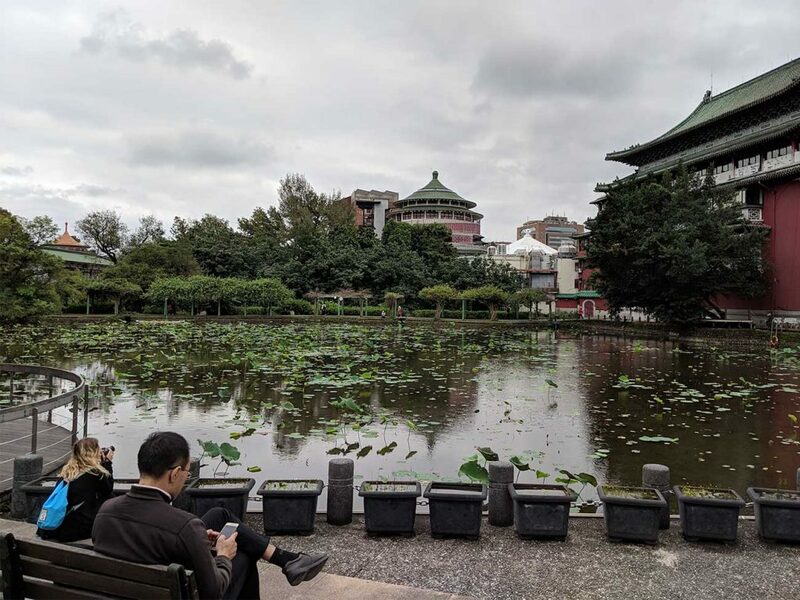 Zhongshan park itself houses a nice pond, sitting areas, and a gazebo. This area is literally in the middle of it all, but again, Taipei does an amazing job with their parks and you’ll find some quiet here. These are very easy! Just hop on the blue line of the MRT and exit at the Sun Yat-Sen Memorial Hall station. You’ll find yourself right next to the memorial and can start exploring from there. 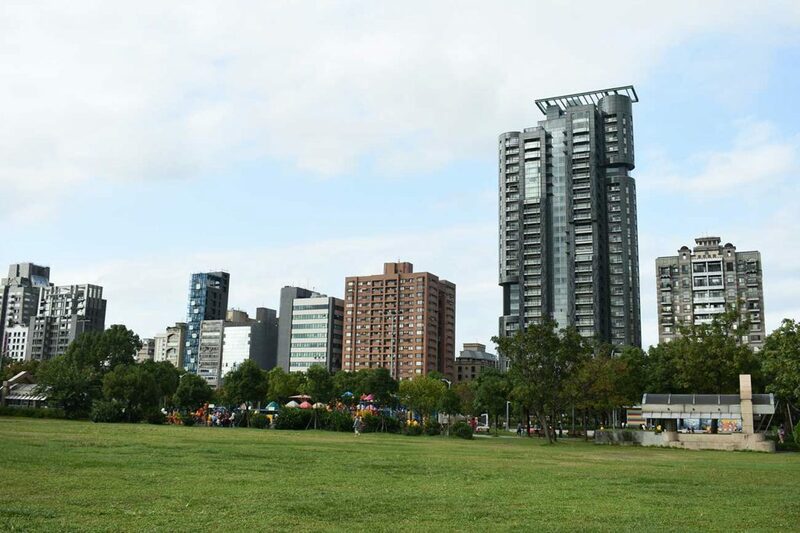 Your options for parks in Taipei are endless. Truly. 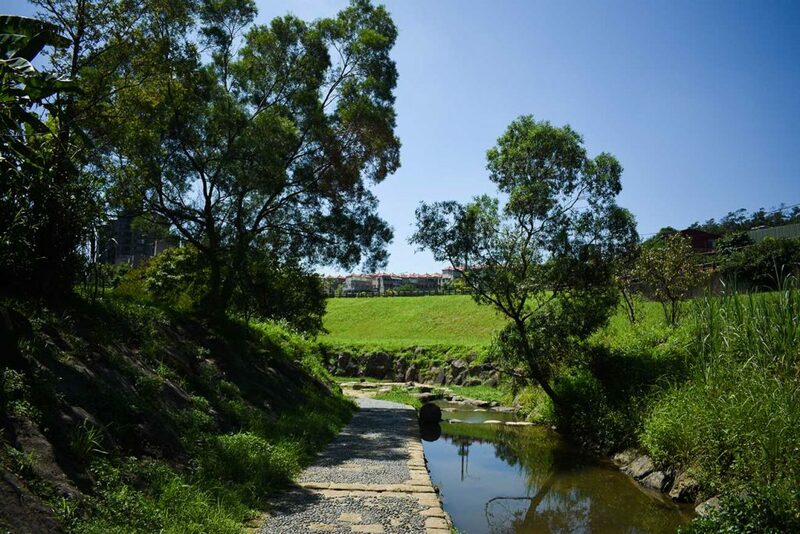 There are two large rivers that intersect, the Tamsui River and the Keelung River, and both offer riverside parks all along their banks. The weather plays a huge part while traveling in Taiwan. We’ve been in August and September, which we don’t recommend. The heat and humidity are extreme. We’ve also been in November and December, which we prefer! There were more overcast days but the temperature was absolutely perfect. 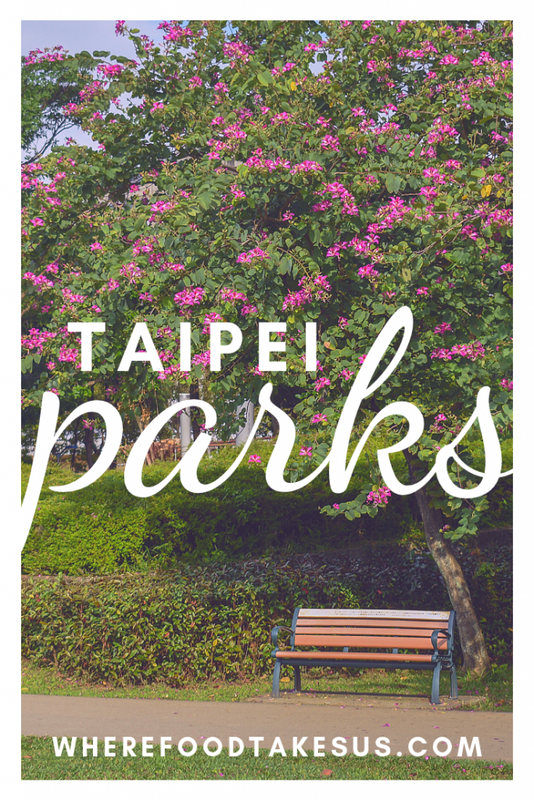 Honestly, hanging out in Taipei’s parks became one of our favorite ways to spend our days in Taipei. We’ve since left Taiwan and are now gallivanting about Europe, but we really really miss Taiwan. From the friendly people to the great food to the nature and quiet all around the big city, it began to feel like a second home. 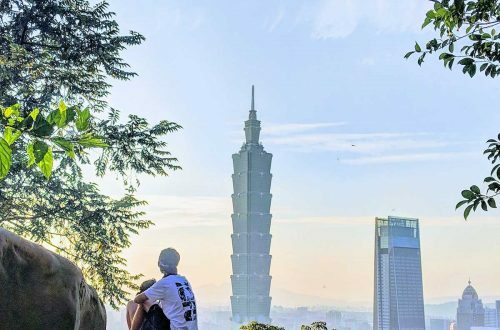 We hope you can explore Taipei, and all of Taiwan for that matter, and get to know it like we did.